It's reveal time again at Flying Unicorn! The start of a new year means another beautiful kit to continue the terrific tradition at Flying Unicorn! Here is a page that I made with the kits! 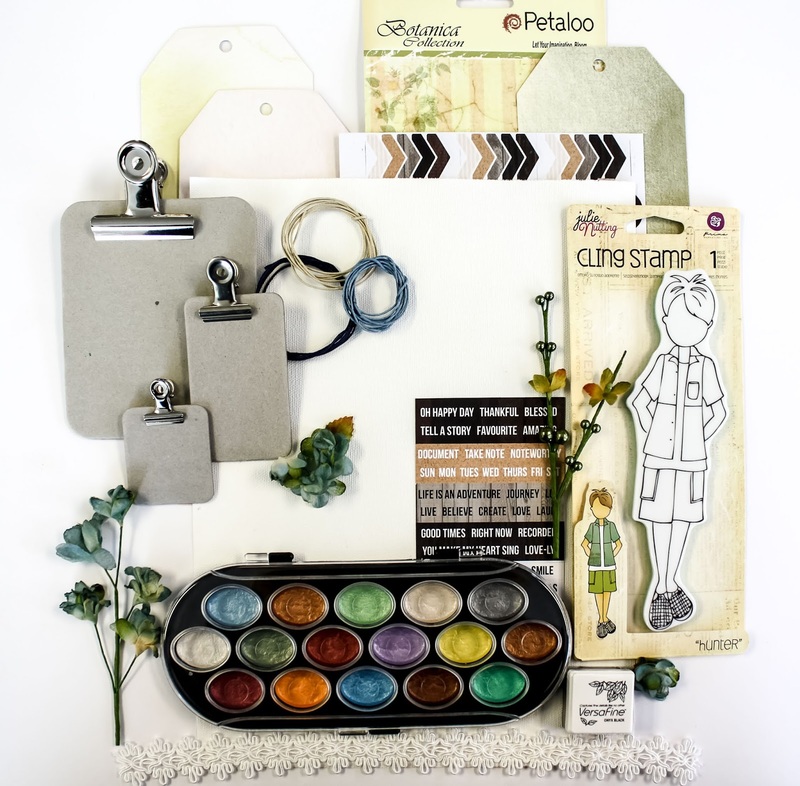 Again, these kits are LOADED with so many thing that you just won't run out of things to use for your pages, off the page projects and so much more! The colors in the kit are just beautiful. 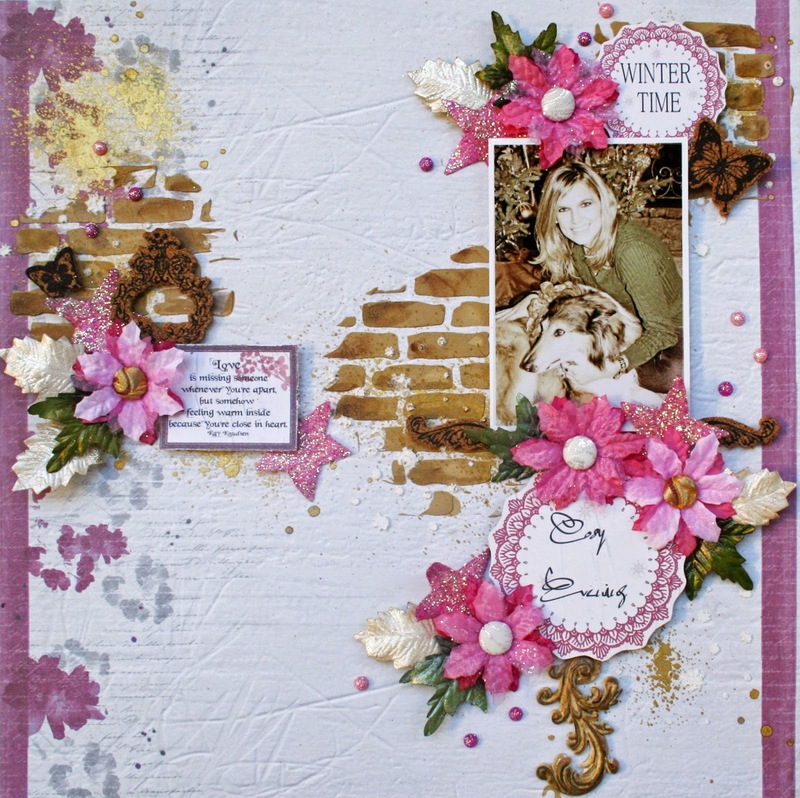 The paper has a lot of detail mixed in and it's easy to add a few more mixed media accents. 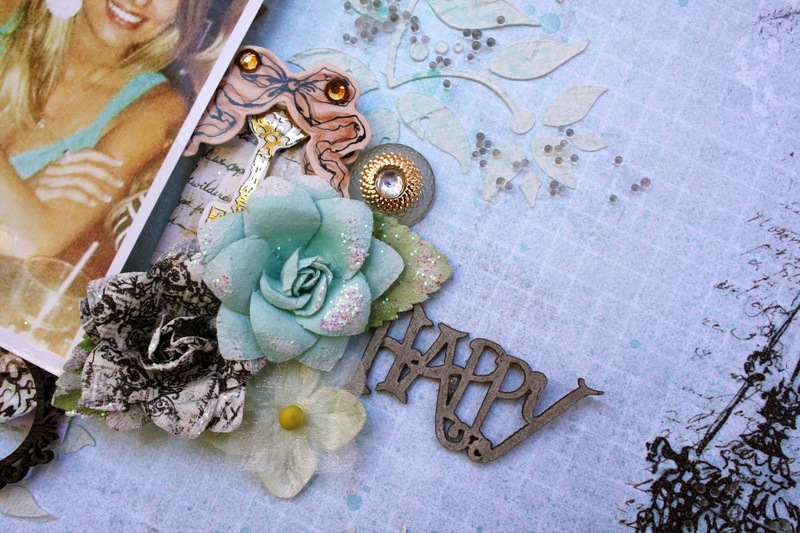 Layering the embellishments is so fun when there so many different things to play with! Hi y'all! 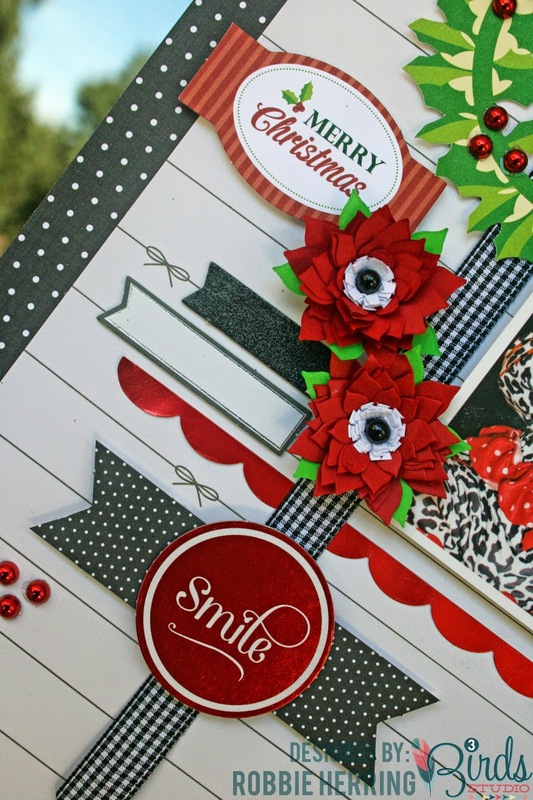 Recently, I told you I was in the Christmas mood, so I made another Christmas layout using the fabulous products from 3 Birds Studio! This layout is proof that the card kits aren't just for cards! 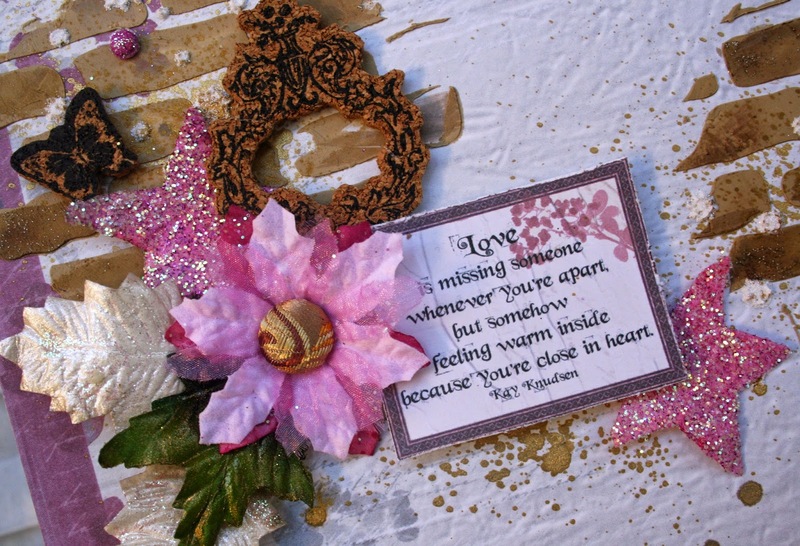 There are so many great shapes and sentiments in the Quilled Card Kits that will work beautifully on your layouts, too. 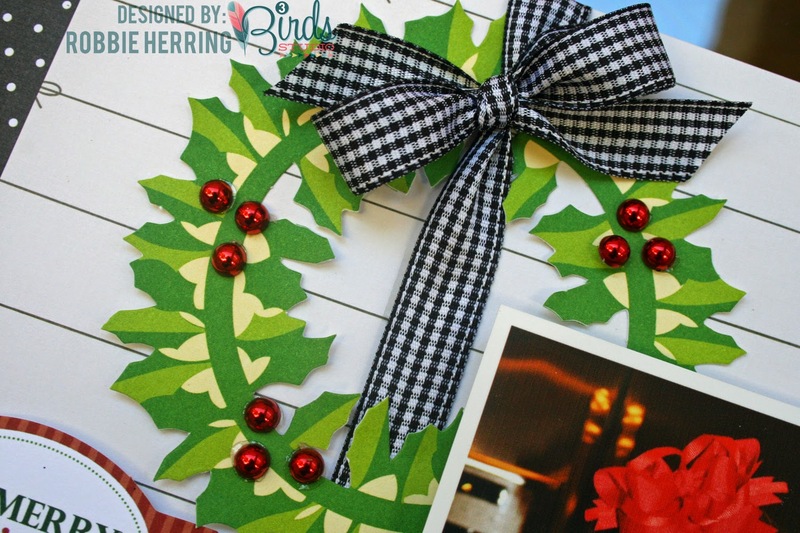 This beautiful little wreath is in the card kit and is ready to go! 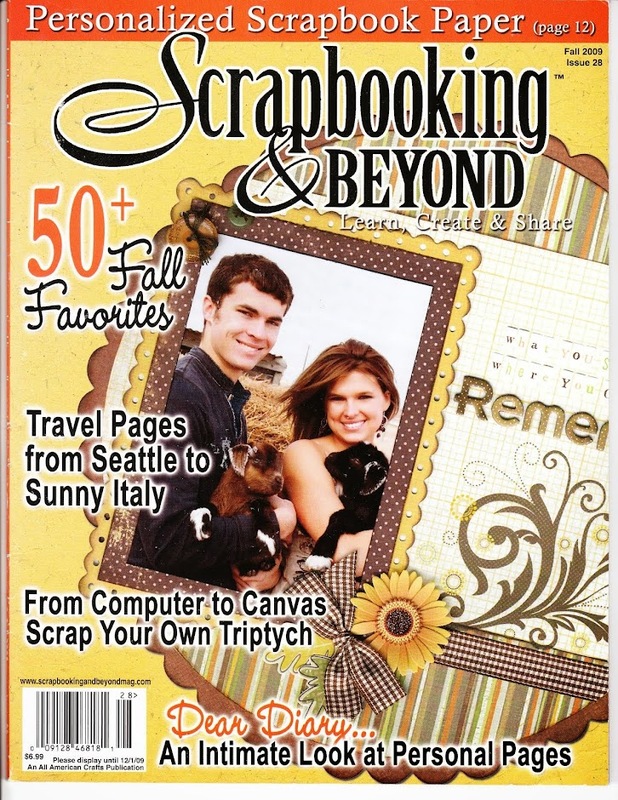 I just added a few of the foil pieces and I had an instant design element for my page. 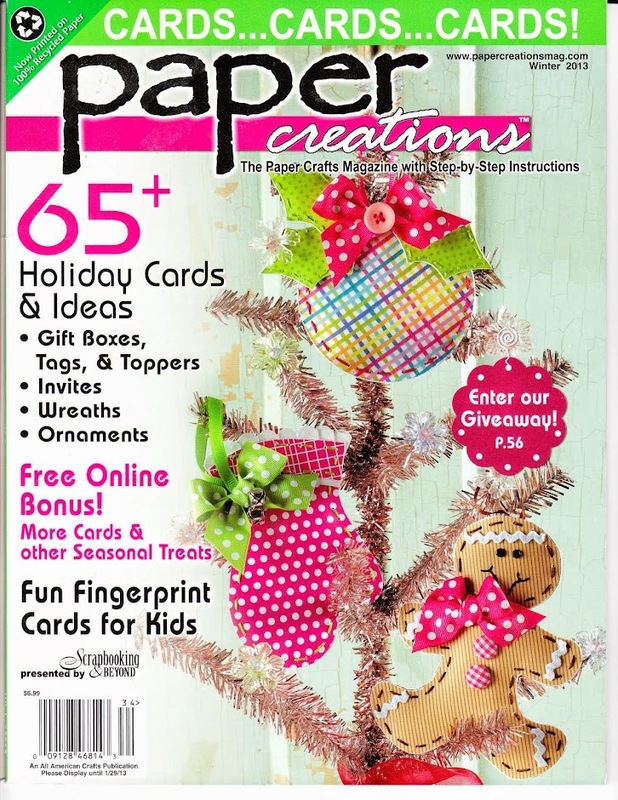 The quilled poinsettias are also from the card kit. Tip: Mix up bit and pieces from other collections. 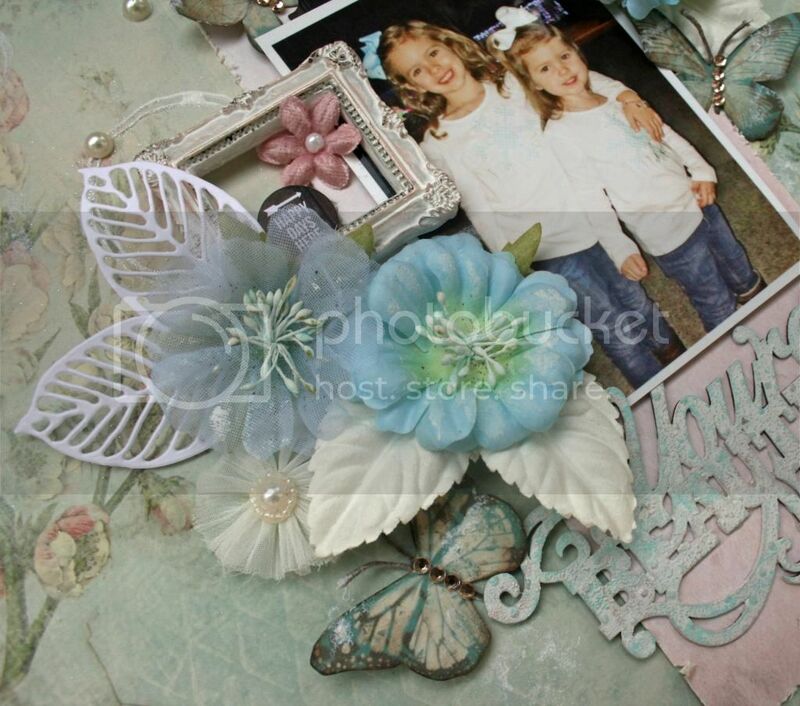 I used chipboard, pearls, stickers and die-cuts to add interest and dimension. Don't forget the little touches. For balance, I added a couple of holly leaves, also from the card kit, to the corner of the photo to pull it all together. 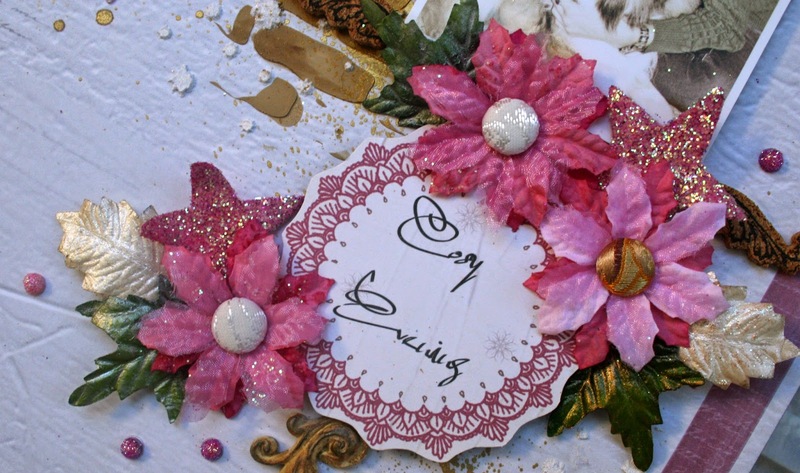 Supplies Used: Graceful Seasons Paper Pad, Graceful Season Dimensional Stickers, Graceful Season Chipboard Kit, Quilled Card Kit Holiday season Edition, Midday Medley Sticker Set , Pearlescent and Foil Goodie Box. 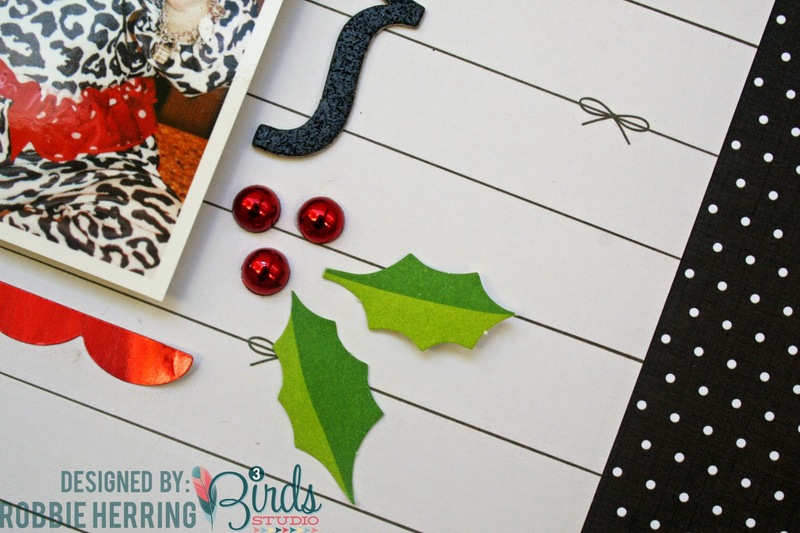 Don't forget to drop by the 3 Birds Blog to see what the design team is up to! 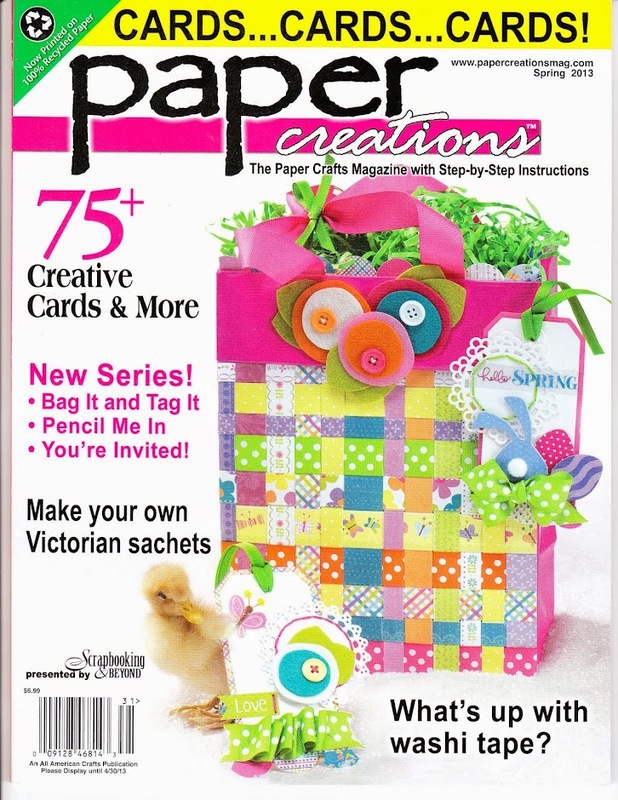 Well, you know that Alda always adds a fun Off the Page item to her Flying Unicorn kits. 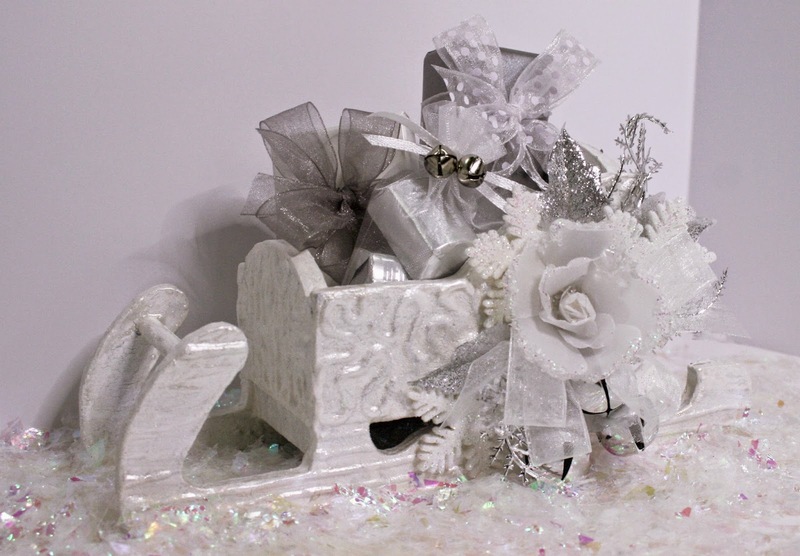 For December, she added an adorable little wooden sleigh! So cute and just perfect to tuck in around your home in December. 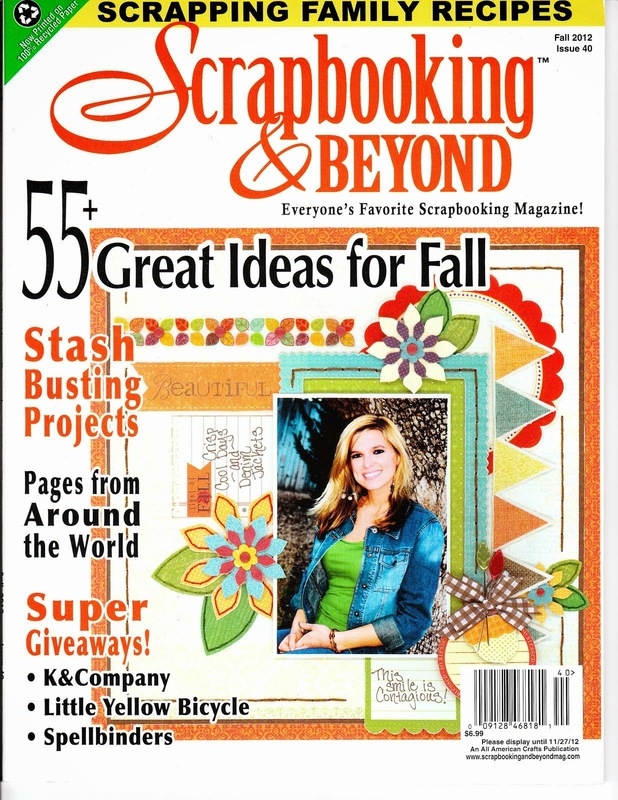 I had a lot of fun decorating this one. Before I started the painting and misting, I took some plain old Elmer's Glue and added some swirls and lines to give it some texture. Next, I painted the whole thing with gesso. I sprayed it with some silver mist and let it puddle and dry as it would. That's it! So simple! 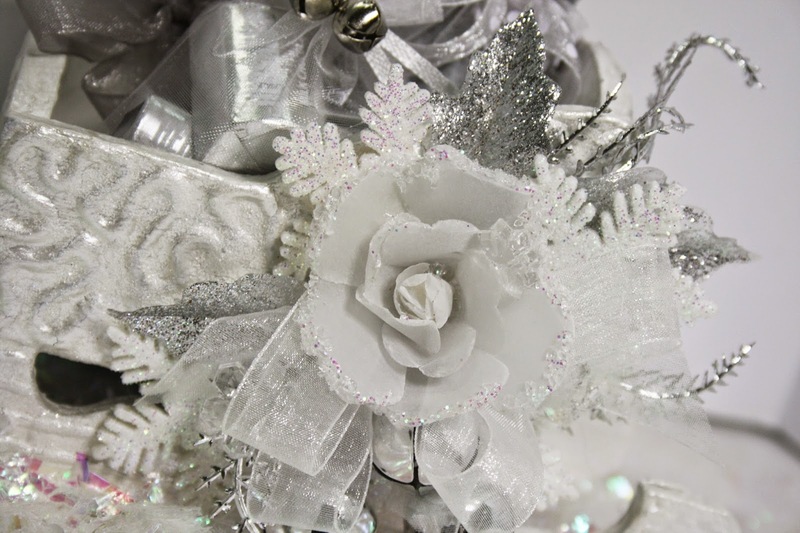 Of course, it's my project, so I had to add some ribbon and flowers. 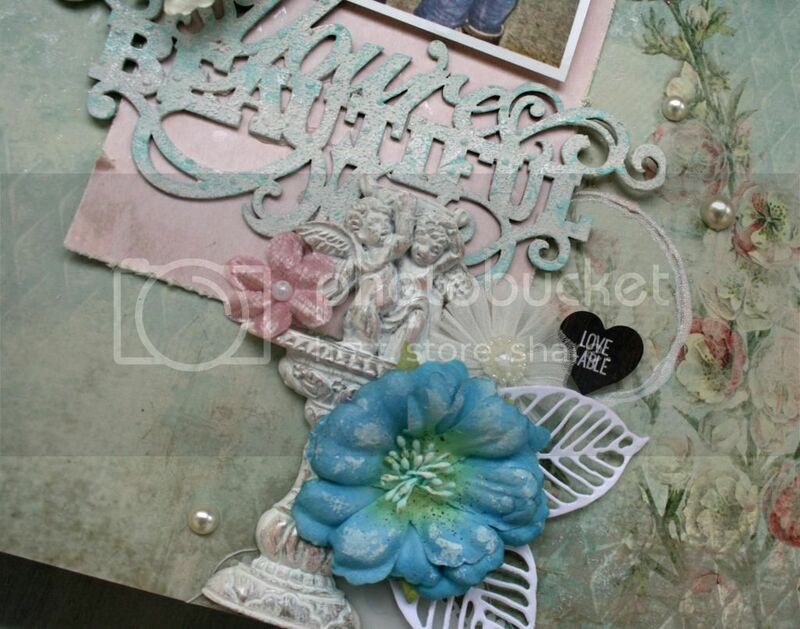 The flower is a terrific vellum flower from Prima. I added some glitter snowflakes and glitter leave that I picked up at Michaels. I love this time of year! 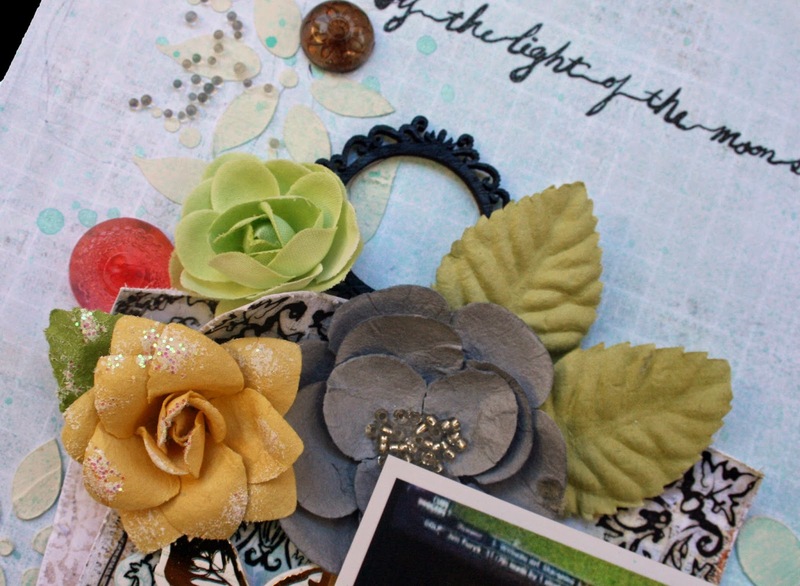 There are so many beautiful, inexpensive things in all the craft stores! 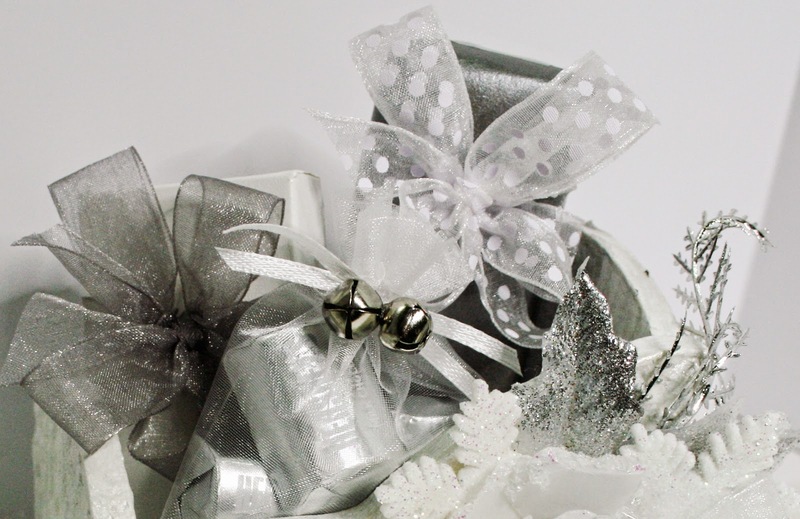 Since it is a sleigh, and it is Christmas time, I had to fill it with some tiny gifts! 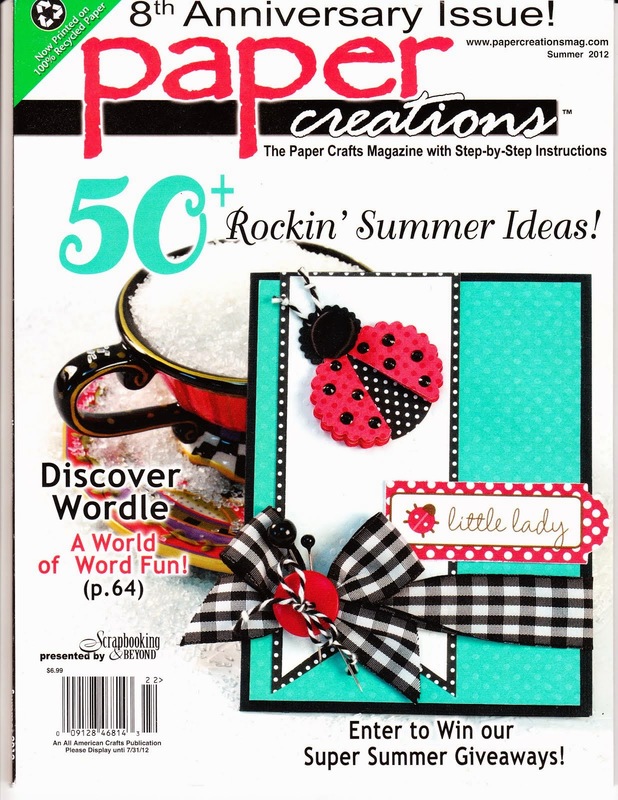 A few little candies and small wrapped gifts would make this a fun little giftie item, too! 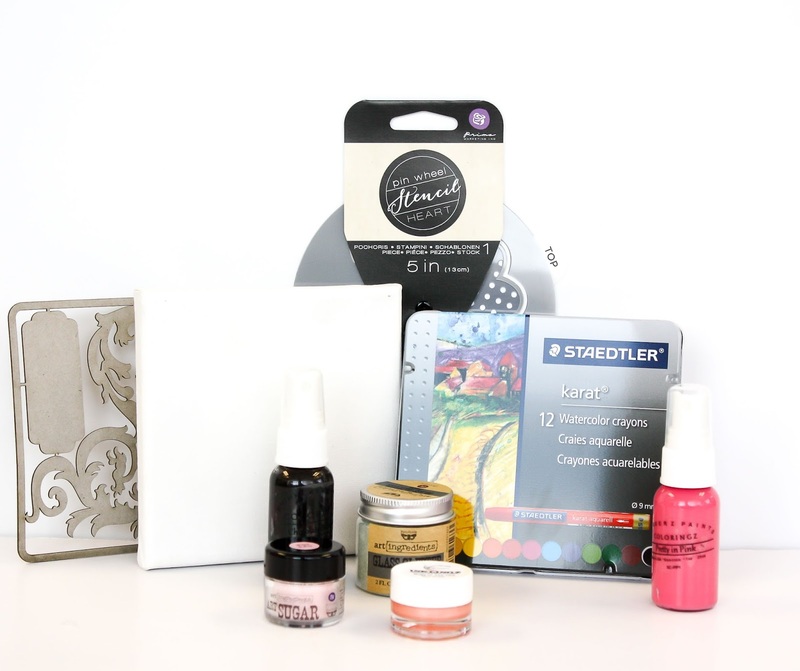 Be sure to check out the Flying Unicorn Store to see all the kits and don't forget that Flying Unicorn has a very fun forum where you can learn and get to know the team, too! Don't you love when you get a kit in the mail and it's AWESOME? Let me tell you, that I seriously thought this Flying Unicorn Kit was fabulous! I love the Winter feel of it and the fact that it was a December kit that was non-traditional in colors. Sometimes, my photos don't really sit well on the traditional colors, so I had so much fun playing up the pinkish colors in this kit. I used a photo of my daughter and her sweet dog Glory for this one. I pulled the pink poinsettias out of my stash. The were made years ago by Prima, but I still love them! I also added some masking, inking and misting to it. I wanted it to have a bit more of a shabby look, but still keep it somewhat formal. You can see here, that I added dimension to the layout with foam, too. I like the interest that you can get by adding several different heights. It also makes clustering fun and easy, too! 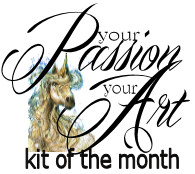 Be sure to drop by Flying Unicorn to check out the kits each month! They sell out quickly and you don't want to miss even one! Hi everyone! 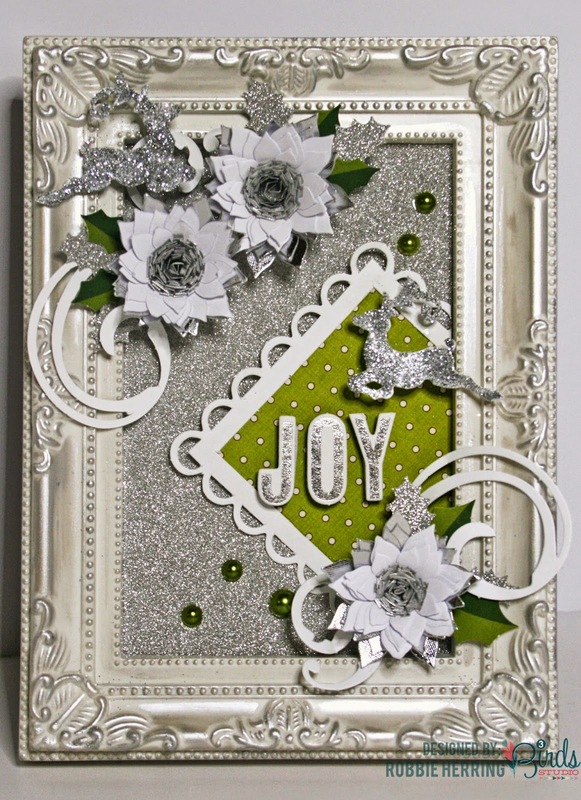 Today, I'm sharing a little frame that I made using the Holiday Edition Quilled Card Kit from 3 Birds Studio. I picked this 4x6 frame at Dollar Tree. It was really pretty as it was but I wanted to jazz it up a bit more. The frame comes solid white, so the first step was rubbing some silver on it to make it fit my idea a bit better. Also, for Christmas, I'm all about the sparkle and shine! 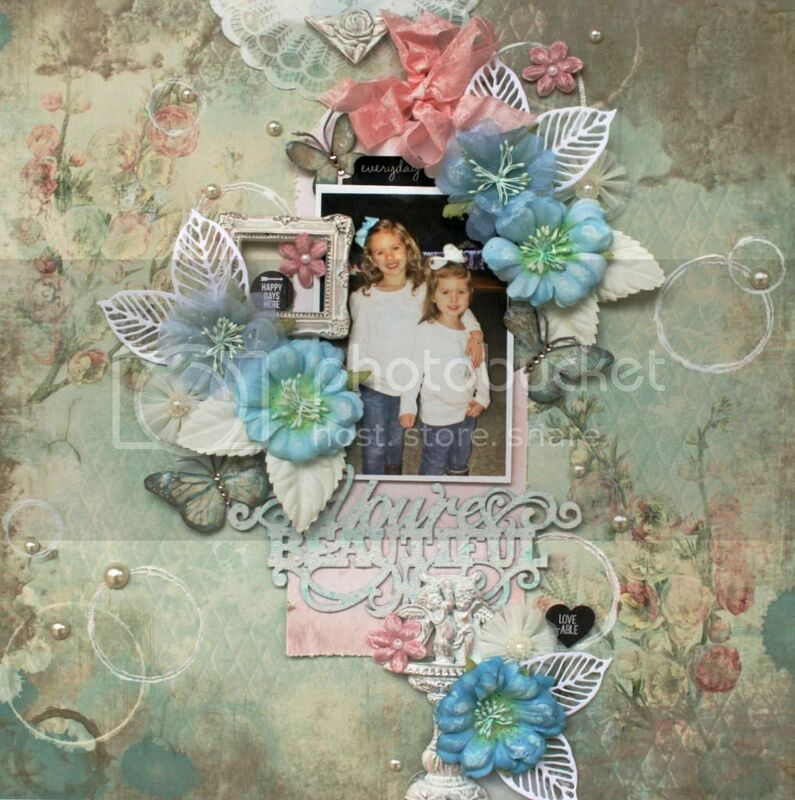 This little frame is proof that the card kit can be used for so much more than just cards. 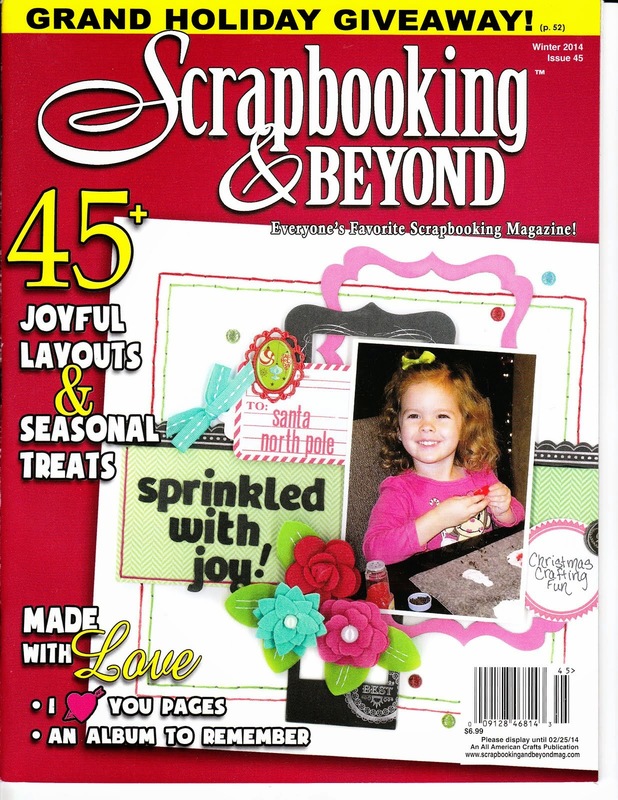 Most of the embellishing pieces are from the card kit. 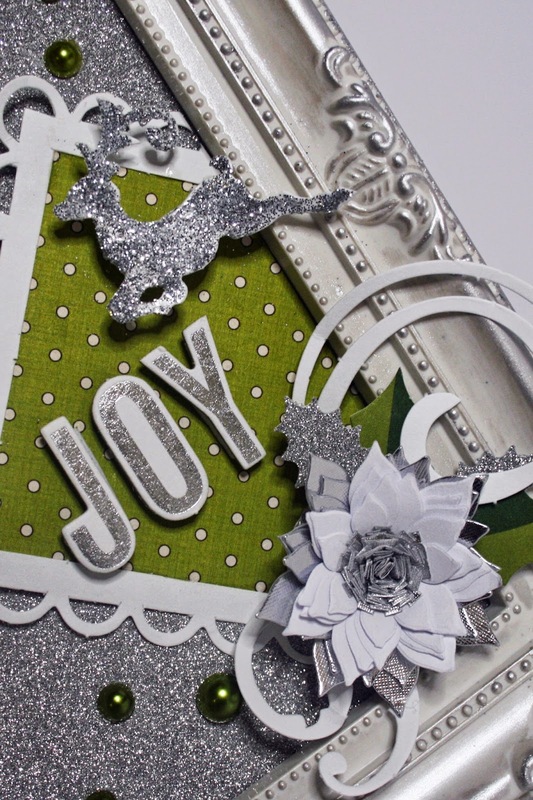 I used the Midday Medley green paper and the Midday Medley Silver Glitter paper for the base of my design. 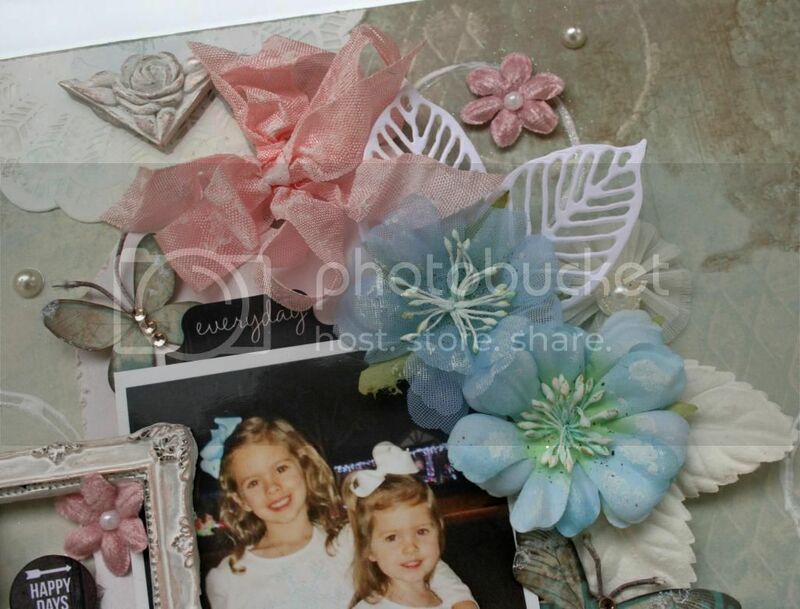 Using lots of foam pieces helped me to layer my design for interest and to make it sit well in the frame. I even layered the chipboard letters using some foam. 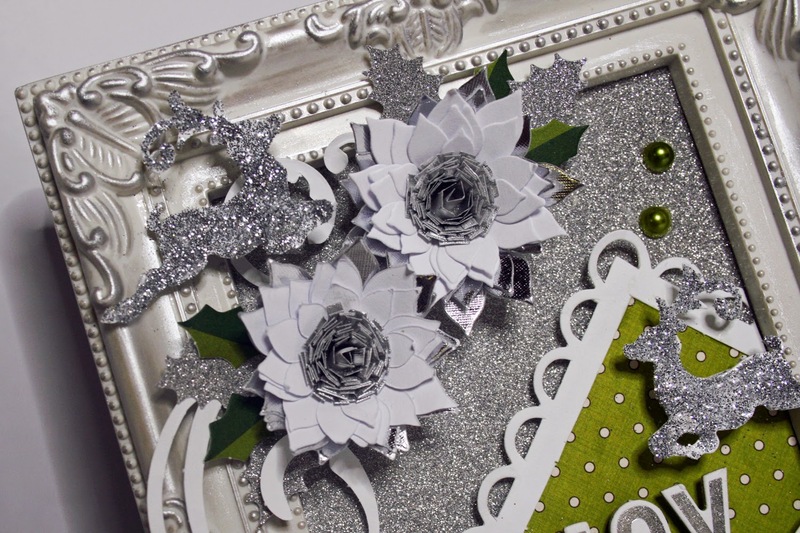 In addition to the green holly leaves from the card kit, I punched a few extras from the silver glitter paper to add in. I also repeated the silver glitter look by adding loose glitter to the reindeer that were in the card kit. 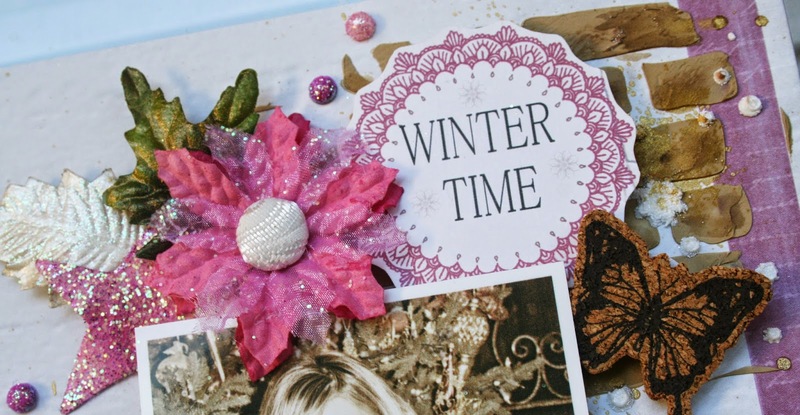 All in all, this is a really quick project that would also lend itself to a card but will make a cute little extra to set out during the holidays. 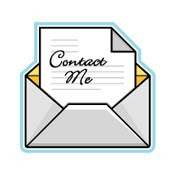 Be sure to check out the 3 Birds Blog to see what the Design Team is up to! 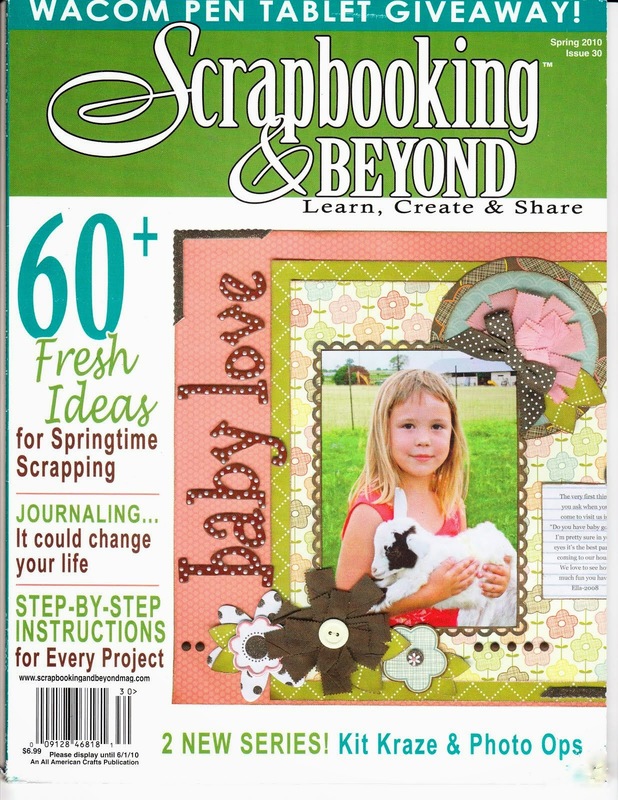 There are always lots of projects to inspire you! Don't you just love Mojo Mondays at Flying Unicorn? Alda always does such a beautiful sketch! This week is no different! 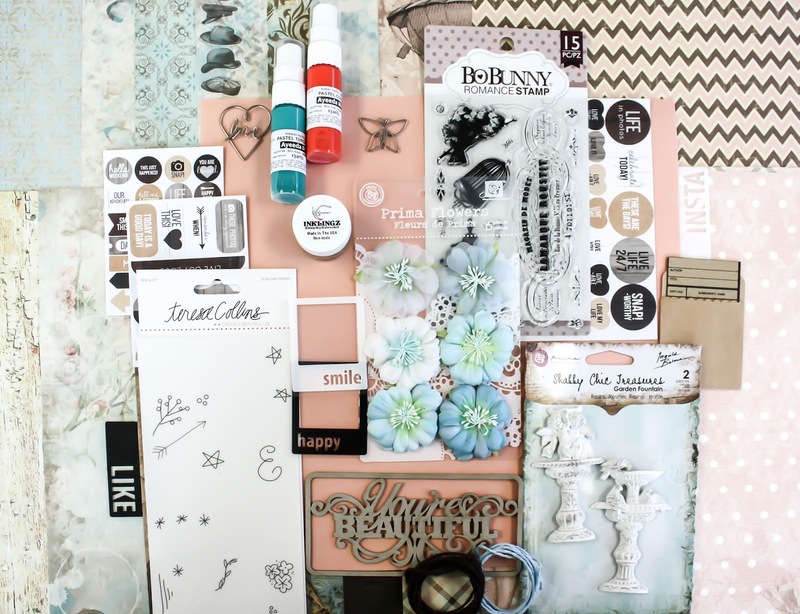 The sketch was beautiful and it gave me a chance to pull out some of my beautiful Prima Epiphany Collection goodies! 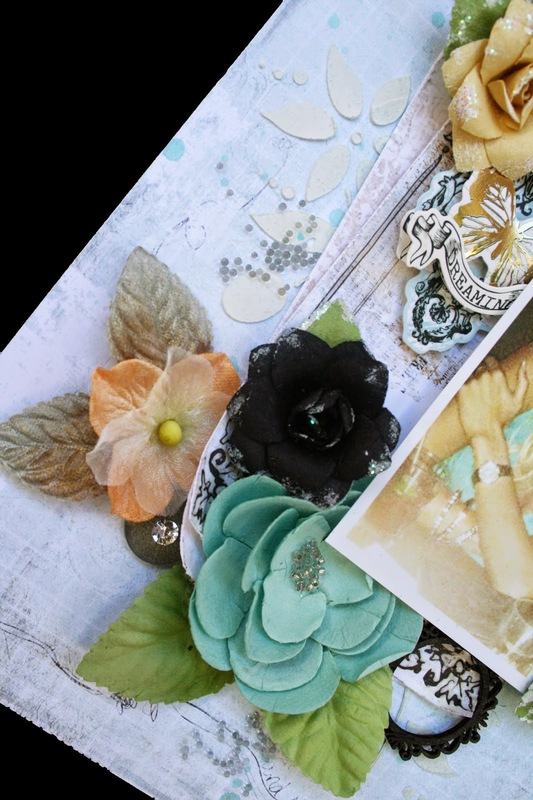 Prima always gets it right with their beautiful flowers and embellishments! 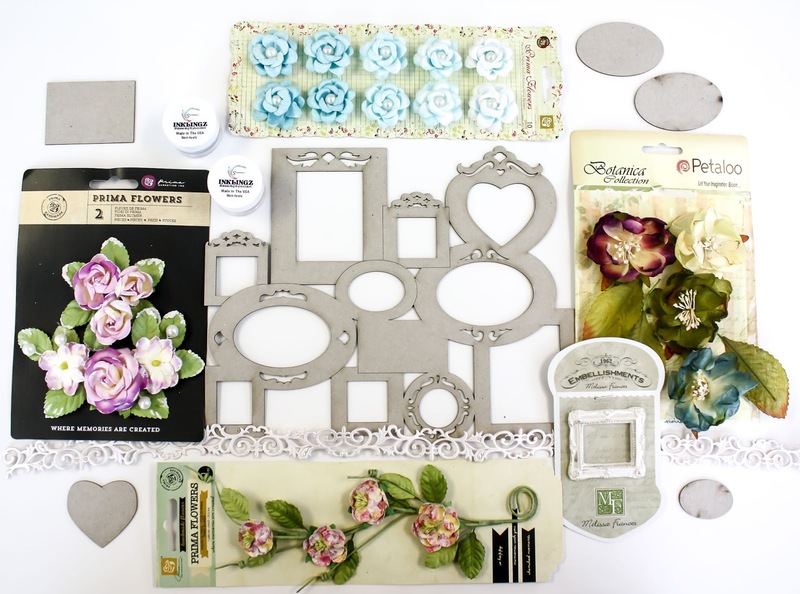 The layered stickers with this collection are so beautiful!They are perfect to tuck in and layer with the flowers. 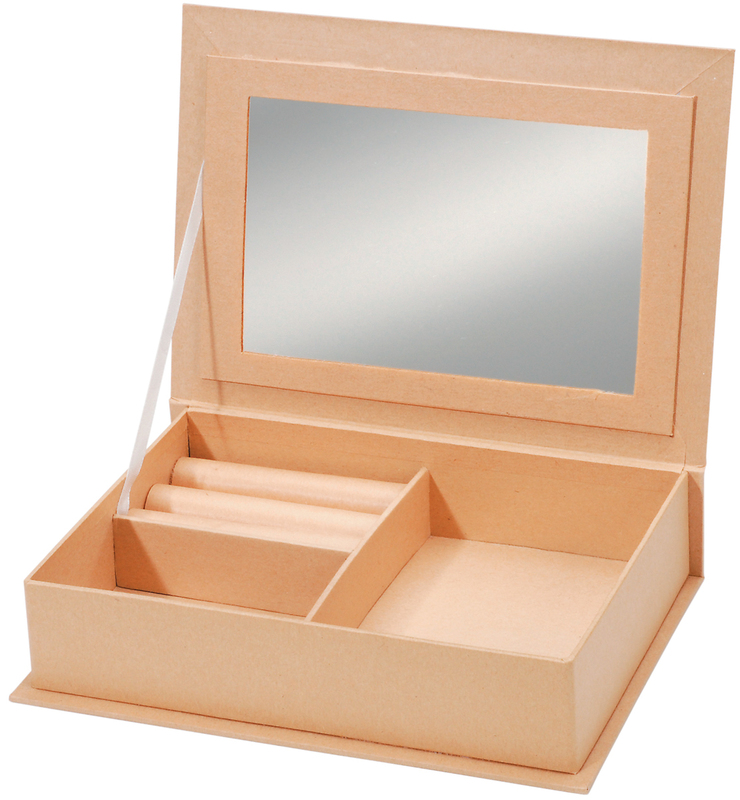 And... don't forget these great microbeads! 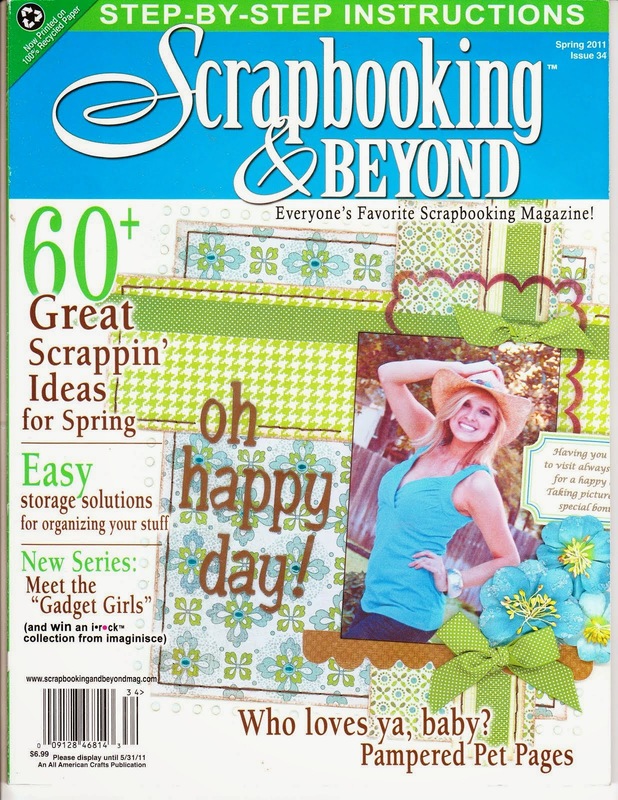 Such a fun addition to your projects! Be sure to stop by the Flying Unicorn Forums each Monday to join in on the Mojo Monday Challenge! Hope to see you there!